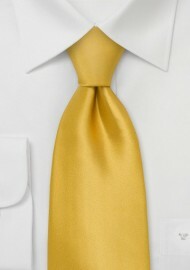 A festive golden-yellow necktie in XL Lenth - especially made for the big and tall man. 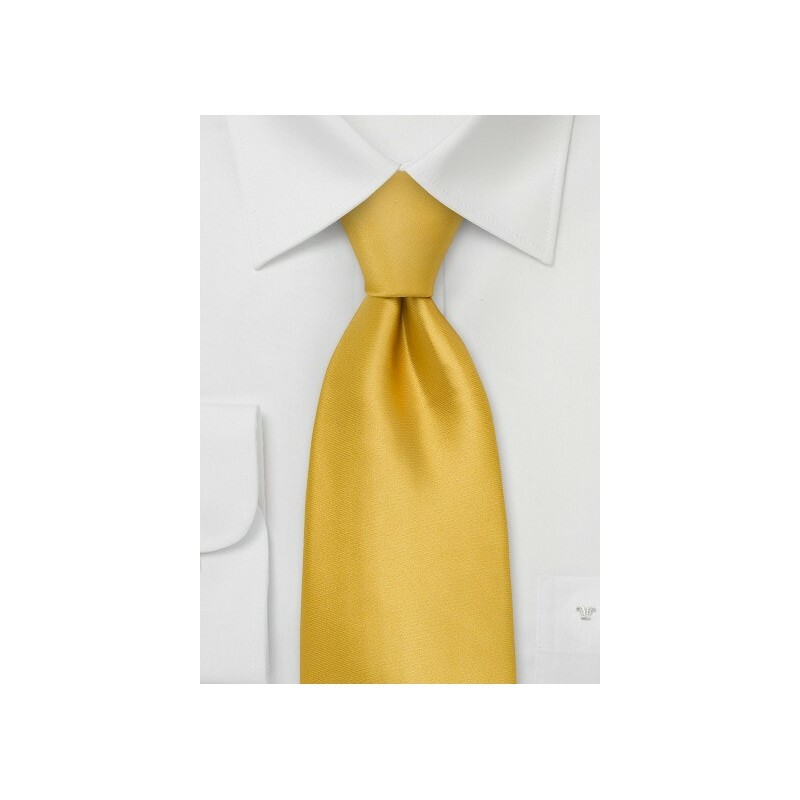 Parsley Luxury Neckwear uses finest Italian silf for this tie which gives the tie brilliant shine and a festive golden shimmer. It is the perfect spring and summer tie! This tie looks great with most suits. We like this tie most with the following outfit: Navy-blue pinstriped suit, white dress shirt made from cotton twill, brown shoes, brown belt, and golden accessories such as cufflinks, belt buckle, and wrist watch. Made from 100% silk.